*EstesParkWeather.net is part of the ExceptionalWeather Network. Visit ExceptionalWeather.com to learn more about my other Weather Stations, and equipment. This website was primarly created as a public service for residents of Estes Park, Colorado and Vicinity. 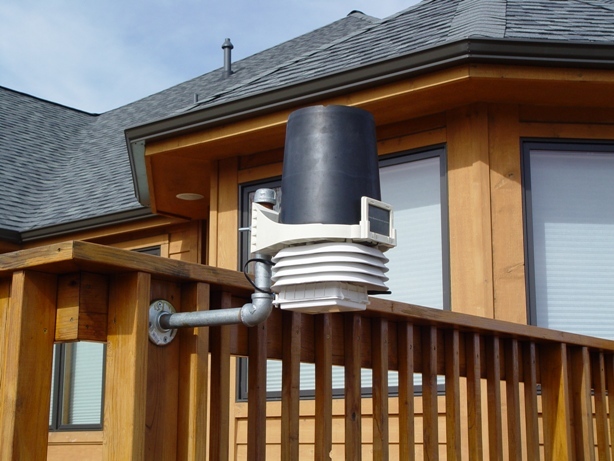 This weather station is privately owned and operated, is not affiliated with the Town of Estes Park, Colorado. and should not be considered an officially recognized station for weather. www.olamshrine.com - Shrine of the Most Blessed Sacrament at Our Lady of the Angels Monastery. www.gregorytruta.com - Pictures from the Shrine of the most Blessed Sacrament during our visit. This website previously operated as Greg's Estes Park, Colorado Weather Station. I have changed the design, & format, and how the data is displayed but the weather station and location is the same. Click	here to see a screen shot of my former weather website design. The data you see on EstesParkWeather.net website is primarly fed from a personal weather station at our home utilizing high quality weather instruments, as well as other data sources, including the National Weather Service to provide local, accurate, and timely weather conditions for the greater Estes Park, Colorado Area. I hope you enjoy using this website and welcome any comments, suggestions. New York Times article about Personal Weather Stations and the positive impact they are having on forecasting weather. I, Gregory Truta, was highlighted in the article that appeared in the New York Times in December of 2004. 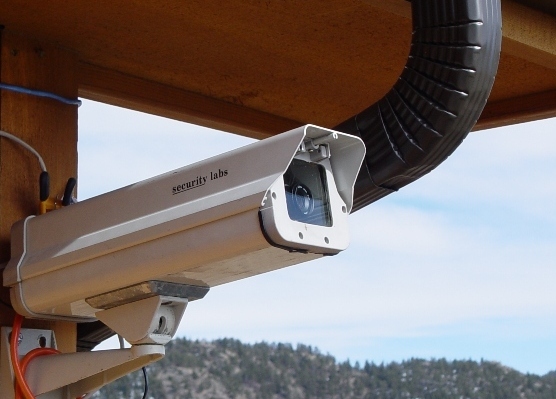 Anenometer - part of the Vantage Pro, mounted high above our Truta family's second house in Estes Park, Colorado, free of trees and other structures. Stardot Netcam is the EstesParkWeather.net Webcam. 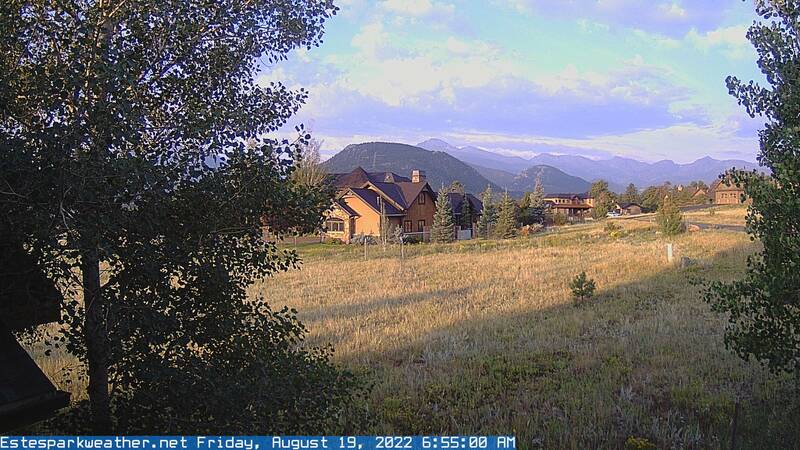 Shot from Webcam faces generally West towards the Continental Divide and many of the larger '14 teeners, including Long's Peak. - The NetCam webcam is a high megapixel ruggedized high quality digital camera and small computer that transmits to ExceptionalWeather, via a CAT5e Network cable, images of outdoor weather conditions. It is housed in a rugged outdoor camera enclosure. Need a reliable and solid webhost for your website? Website hosting is currently available on this website's server. If you are looking for solid, reliable website hosting please contact me. I have a large VPS (Virtual Private Server) with a Enterprise webhosting provider. I have a lot of unused space and bandwidth that I would like to sell to anyone that wants hassle free and reliable web hosting. I don't try to compete with many oversold popular webhosts, like Godaddy.com, that promise unlimited space, and bandwidth (or very large bandwidth/space), with sometimes poor very performance and service. I will see to it that your website is up and running. I have several webhosting packages available, I can customize one to your needs. A couple example offerings are below, please contact me with your requirements. Website hosting Package 1 - $4 Monthly or $46 Annual. Multiple domains, FREE nightly backups. Website hosting Package 2 - $5 Monthly or $57 Annual. FREE Setup and Transfer ! - I will also move your websites from your current webhost and get them setup and running for you for free. If you need a website designed I can also help with this, contact me regarding prices for website design sevices.